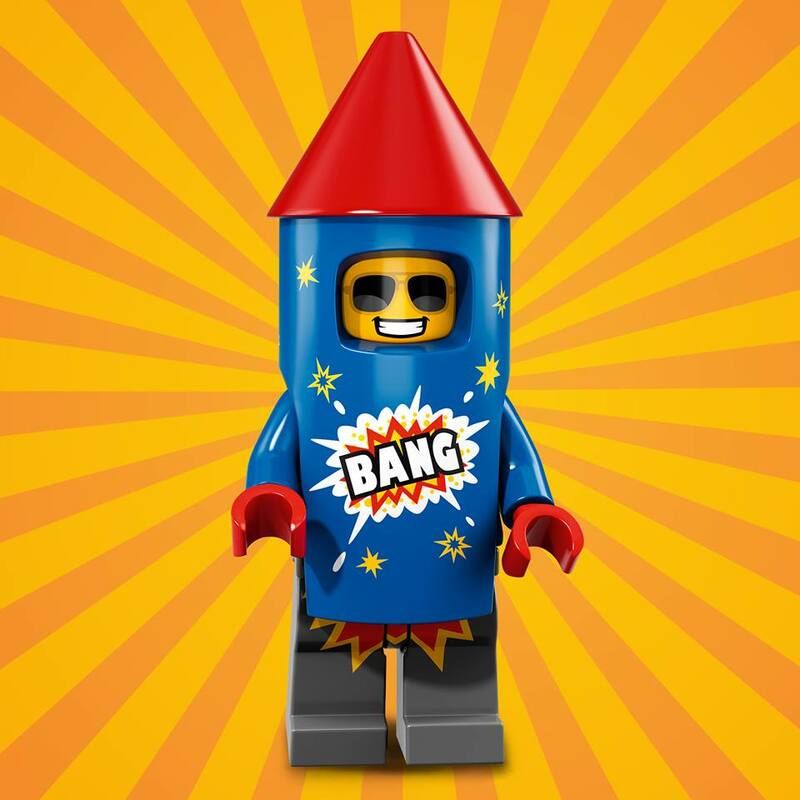 After the insane success of the costumed minifigures from previous collectible minifigures series, LEGO has decided to do a whole series of them (well, almost)! 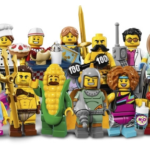 Unofficially dubbed the Party series, the collectible minifigures series 18 includes 17 minifigures celebrating the 60th anniversary of LEGO, which, if you’ve been living under a rock for the past few months, is this year! 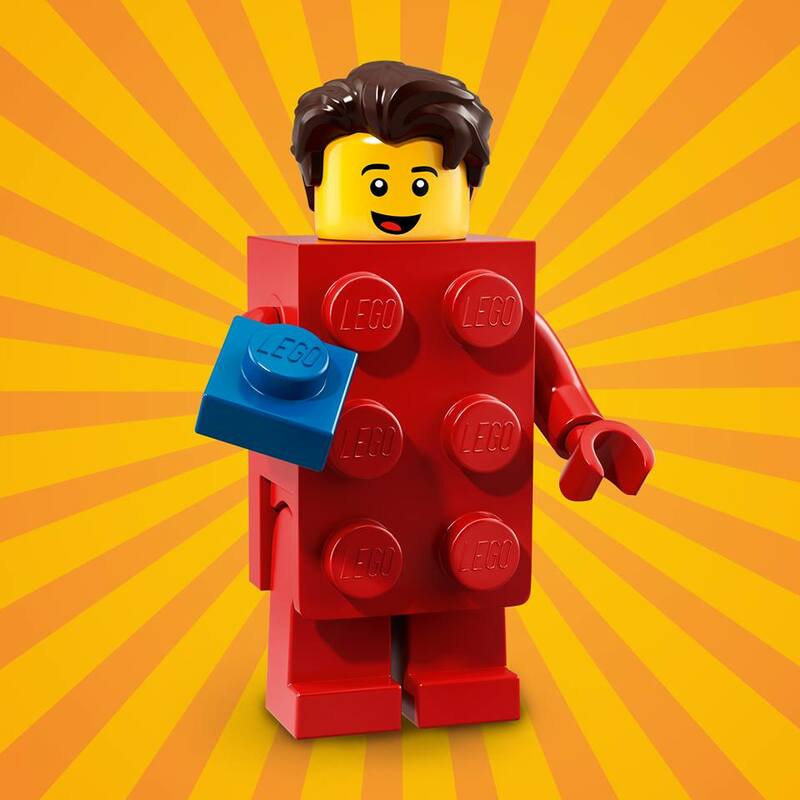 On January 28th, 1958 at 1:58pm, Godtfred Kirk Christiansen submitted a patent application for the LEGO brick with a three tube connector system. It was approved 6 months later, and is still in use today. 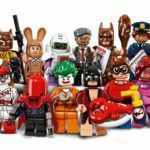 The CMF Series 18 will be available for purchase in April, and I reckon these will be incredibly popular. I’m hoping to get some duplicates myself! These look brilliant. Let’s take a look and see what we’ve got! 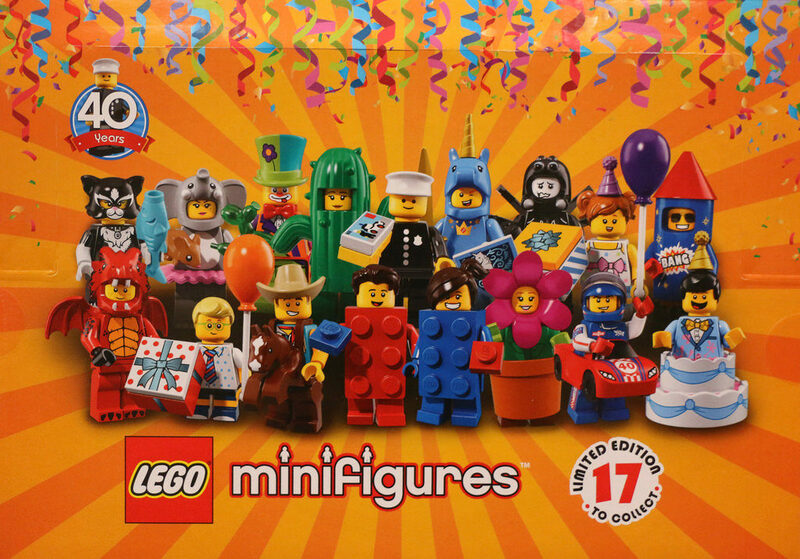 There are loads of excellent new moulds, as well as a new minifigure stand in orange instead of black. I wonder if the colour changes will continue? He’s bright and colourful and those balloon animals are fantastic! 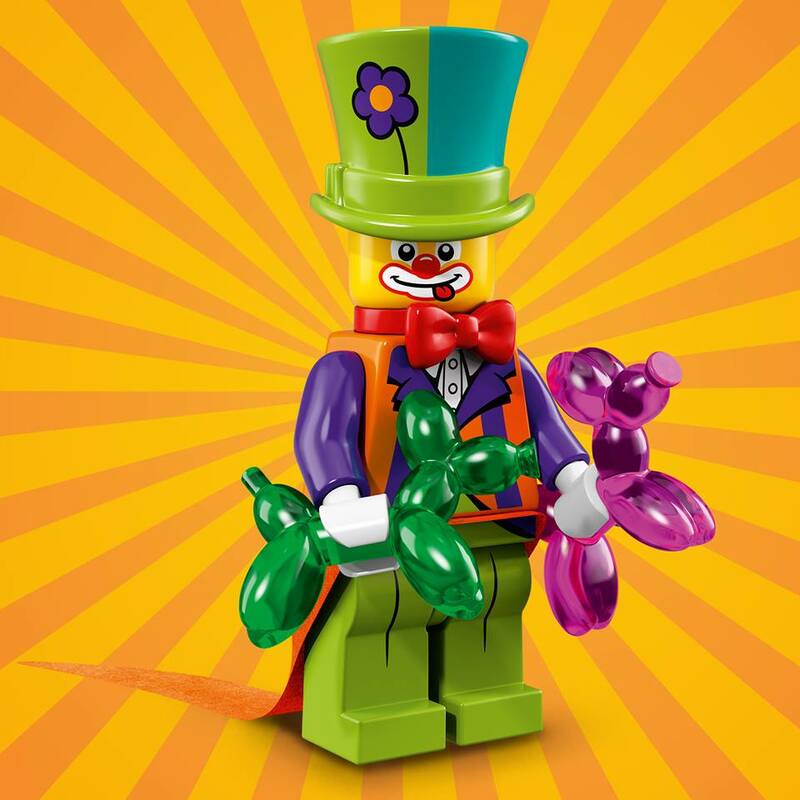 I also love the mad hatter style top hat, and the minifigure bowtie in a new colour. It looks like the Joker’s coat tails have been re-purposed for the clown as well. 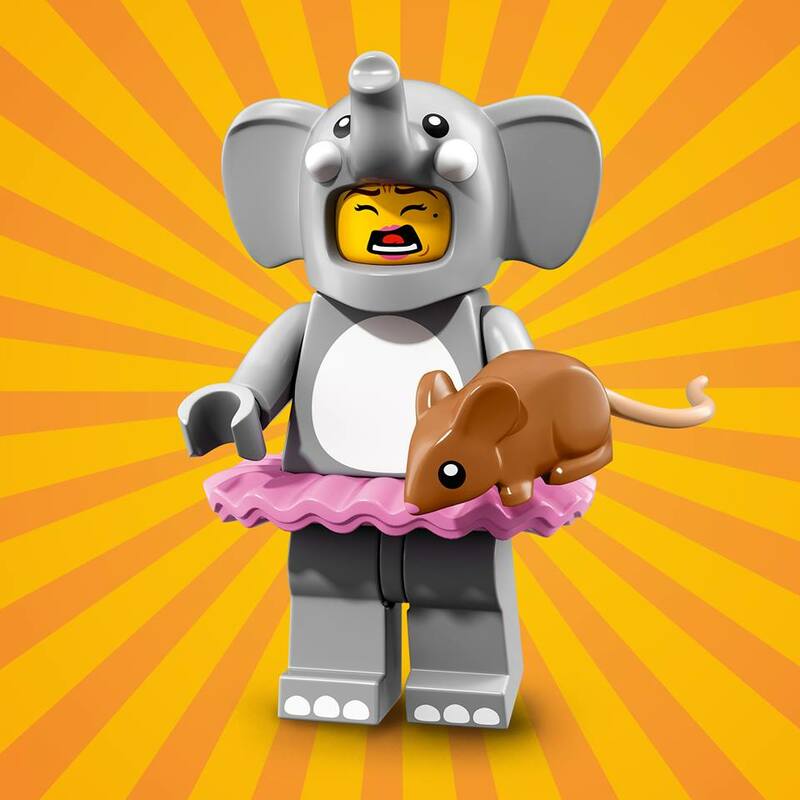 Oh, that cake is going to be very useful, and I think that the standard system minifigures can finally wear the party hats! I’m most likely wrong, but I thought those hats were only wearable by Friends mini-dolls. 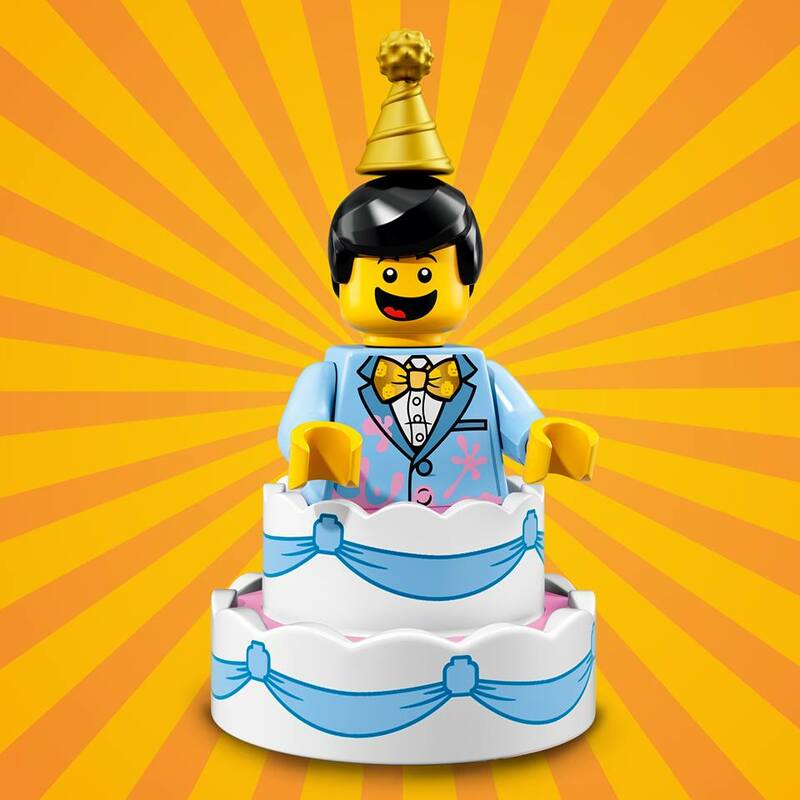 Either way, he looks pretty happy to be wearing a cake, although his suit looks a bit messed up. 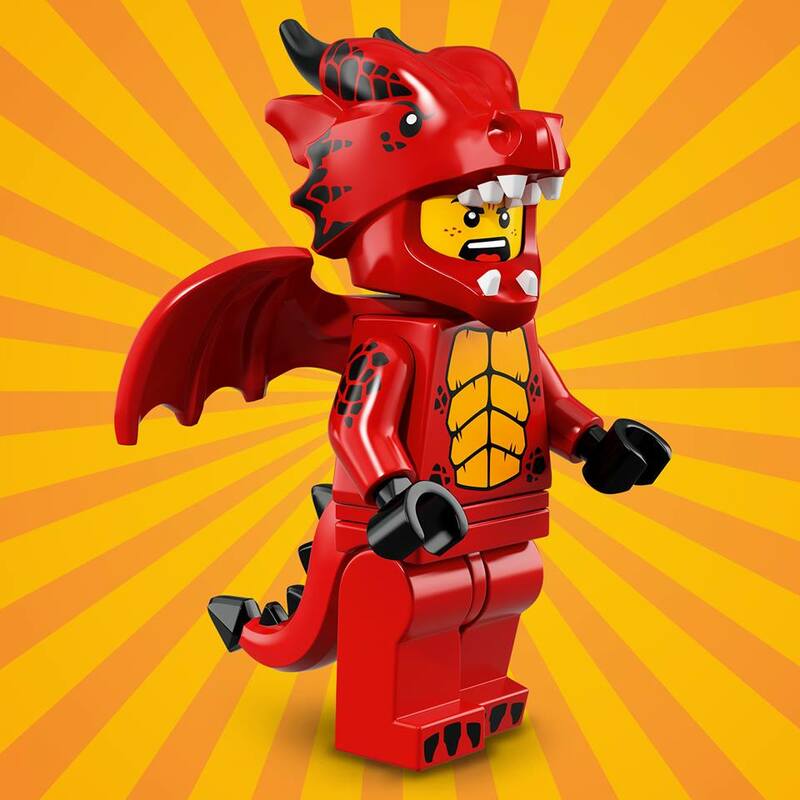 This minifigure, as well as the red one (further down) are two of my favourites, and are the absolute perfect way of celebrating the 60th anniversary! 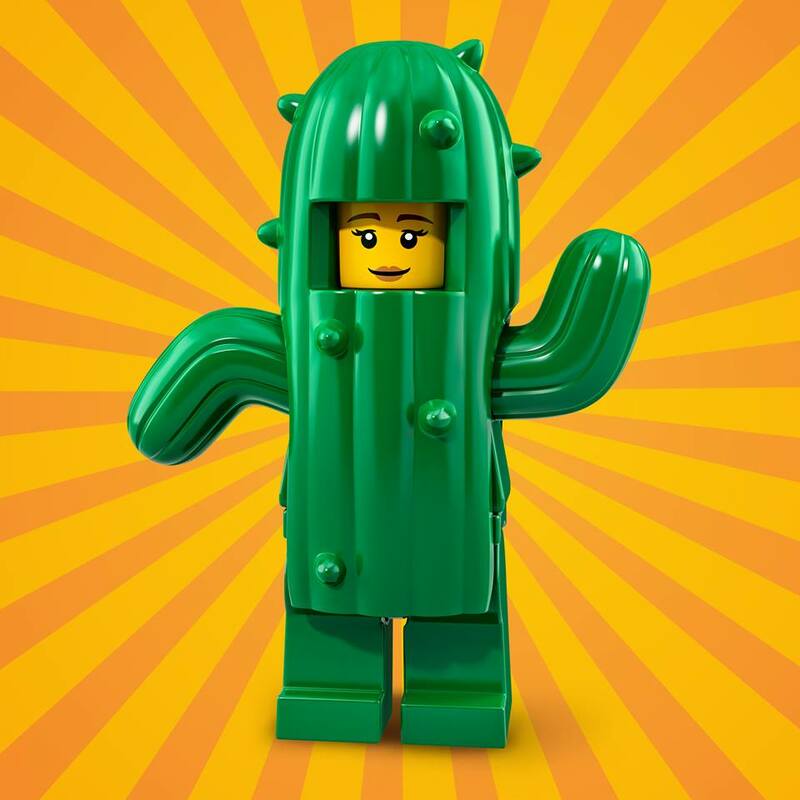 It also looks like they’re compatible like standard studs, however it looks like the head is different? It may just be because the suit covers the neck, but it doesn’t look like it. We’ll have to wait and see. This one is the least exciting one for me. It’s a re-coloured and re-printed version of Series 13’s Unicorn Girl. 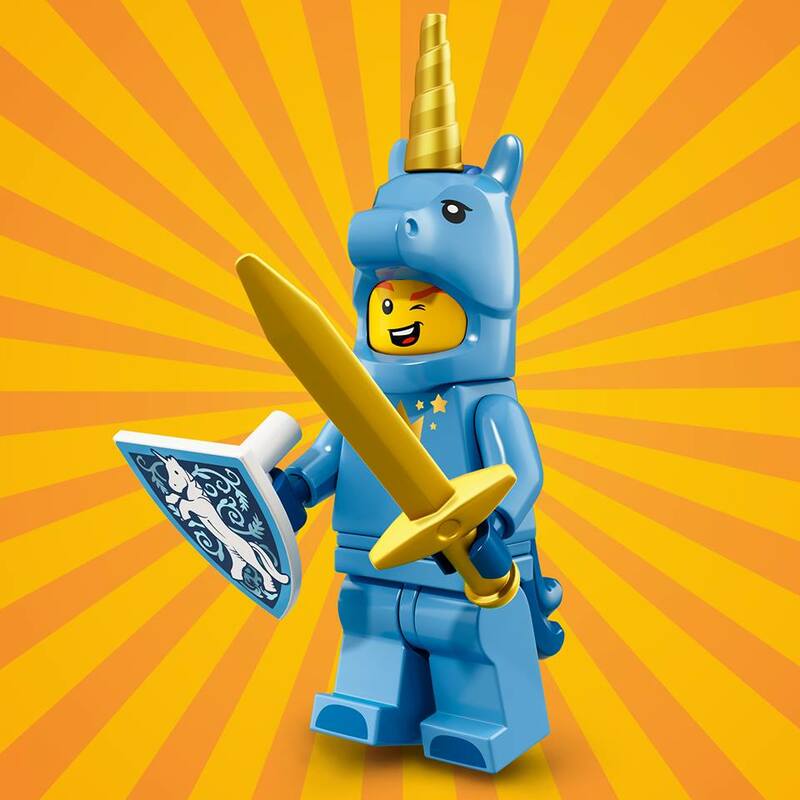 It’s honestly a very strange combination, but if we get a unicorn printed shield, then go right ahead, LEGO! This is my wife’s favourite one. It’s brilliant! I love those arms. 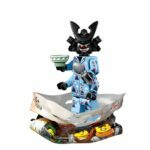 I’m looking forward to seeing how it’s used without the minifigure. There’s some ways I’m thinking already. This costume is great, and I like the printed collar. The recoloured fish also looks very vibrant. 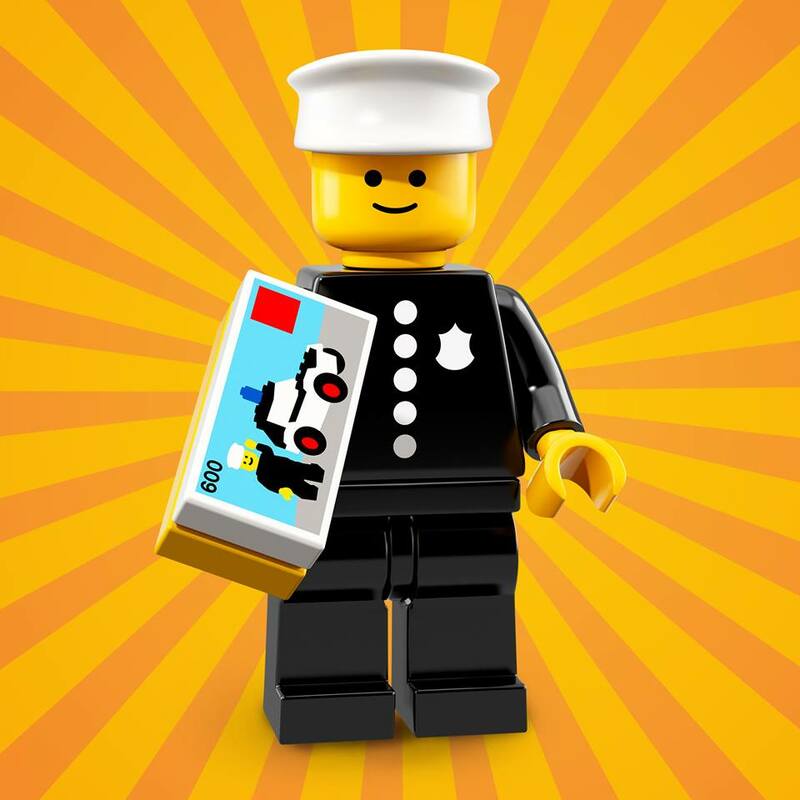 Yet another very clever move to celebrate the 60th anniversary – a modern version of the Classic Police Officer, complete with a tile of the set he came with! When 600 Police Car was released in 1978, this was the first set that came with a modern day minifigure. The torso was stickered, but it was a big deal back then! I love the re-release idea, and the 1×2 tile set is going to be very popular. Important information though – there’s reportedly only one copy in each box. This is cute! 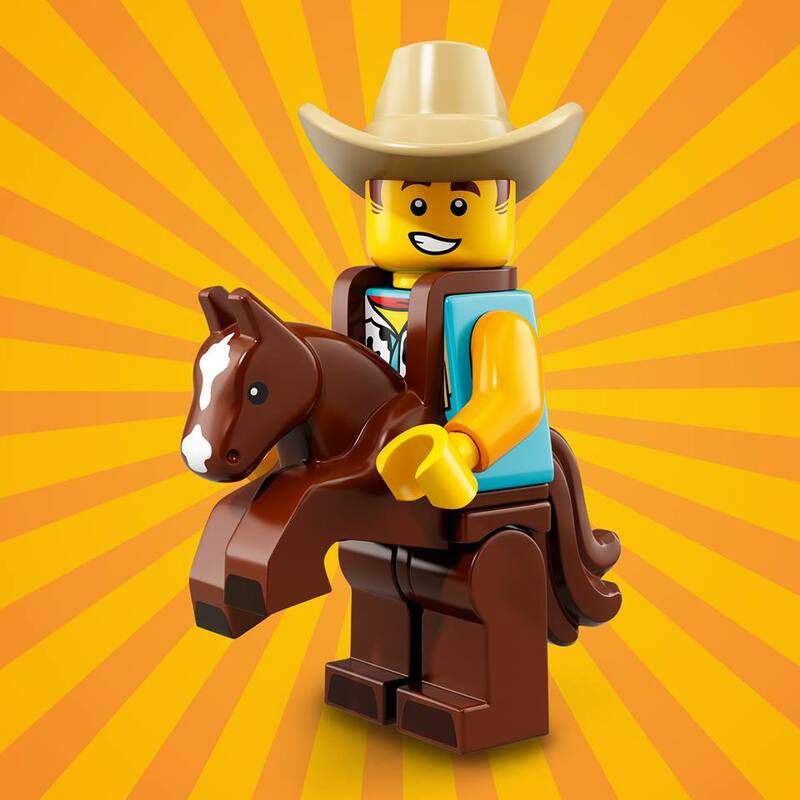 I love that the horse has similarities to a standard LEGO horse. This is a big one – a fantastic looking suit, another tutu piece, a new (and adorable) little mouse and a new face print! Awesome. What’s a celebration without fireworks? Not a decent celebration, especially a 60th as big as this one! 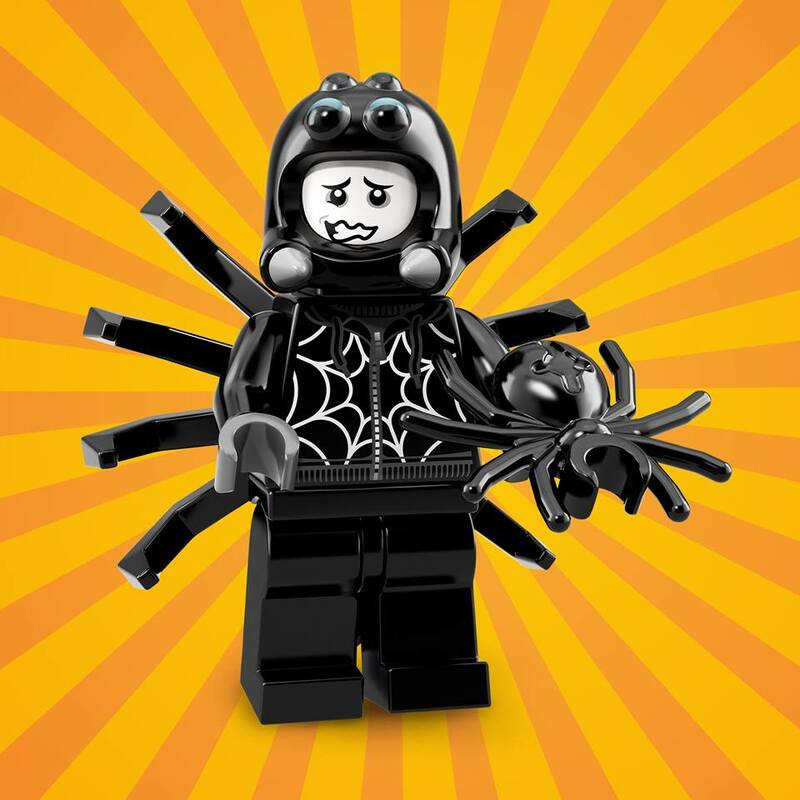 It’s another brilliant costume, and there’s printing on the legs too. 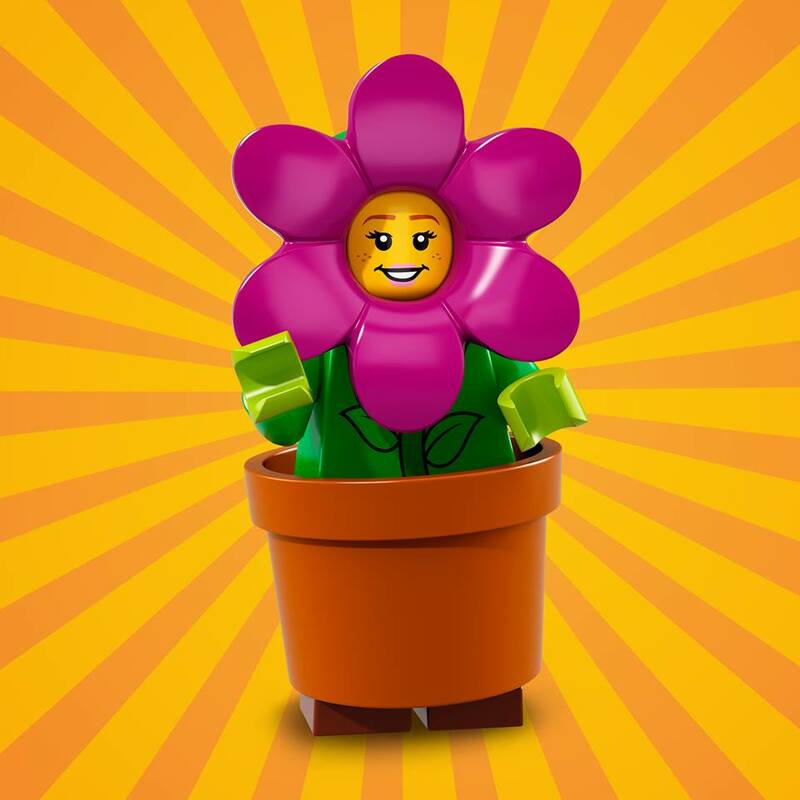 This includes a double whammy – a flower head piece, and a flower pot skirt piece. It appears there’s legs under there, so I reckon it will be a useful element for other things too! This is another exciting one, with lots of new elements! 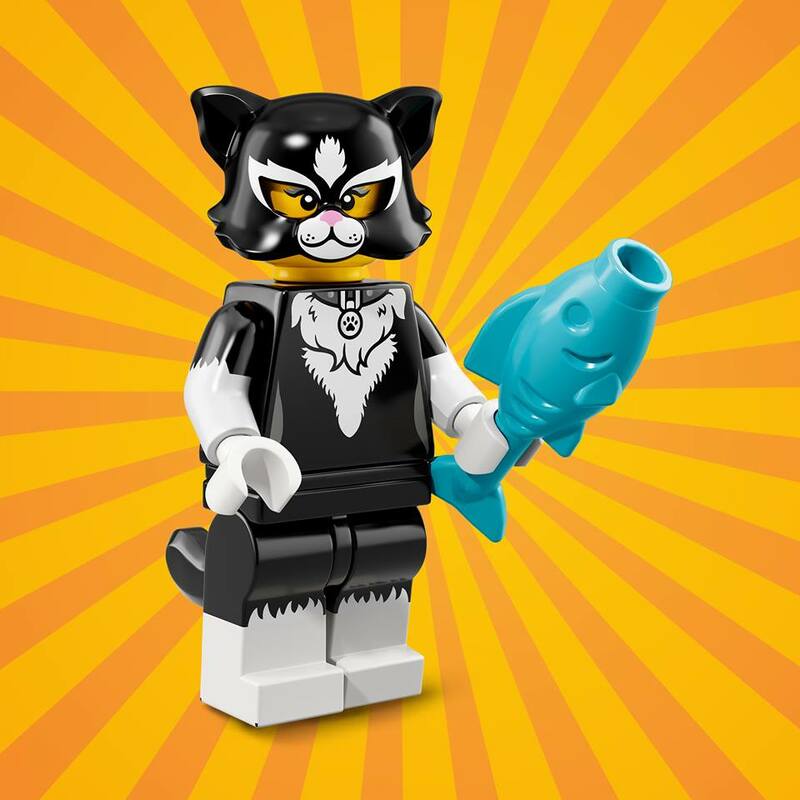 The entire body looks new, with a dotted white shirt and striped tie, shorts, shoes and a pair of glasses on his head, a couple of 1×1 minifigure bag tiles (brilliant! 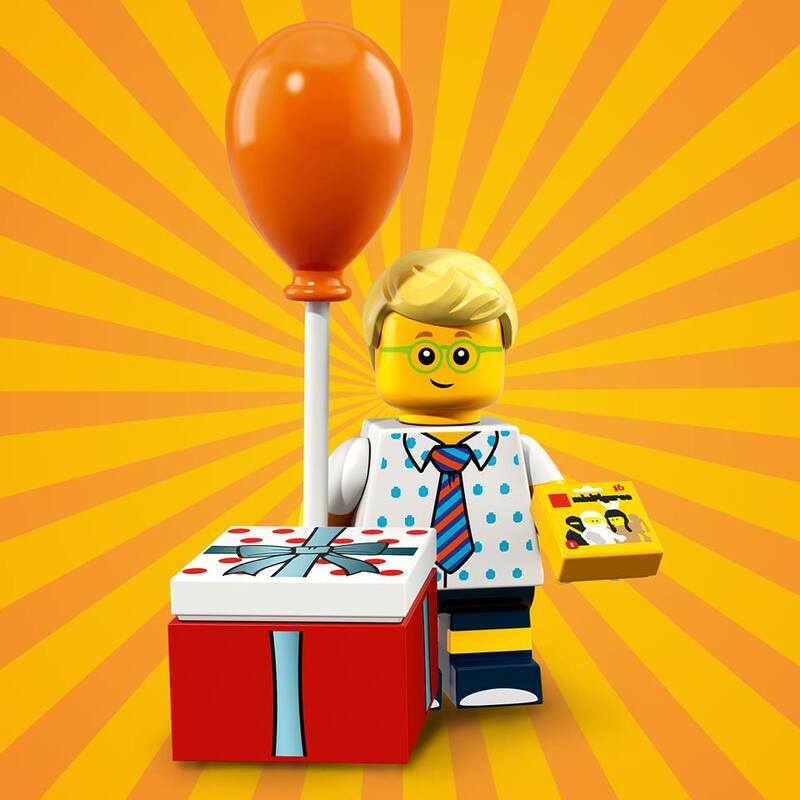 ), a new printed gift box, which appears to be on a 2×2 brick, and a balloon and string! The balloon is ridiculously exciting! Finally, a decent recognisable balloon, and it comes with a “string” element too! I really hope they do the balloons in more than two colours. We’ve had the fireworks and the balloons, and now we’ve got the sweet treats (they’re inside the box)! 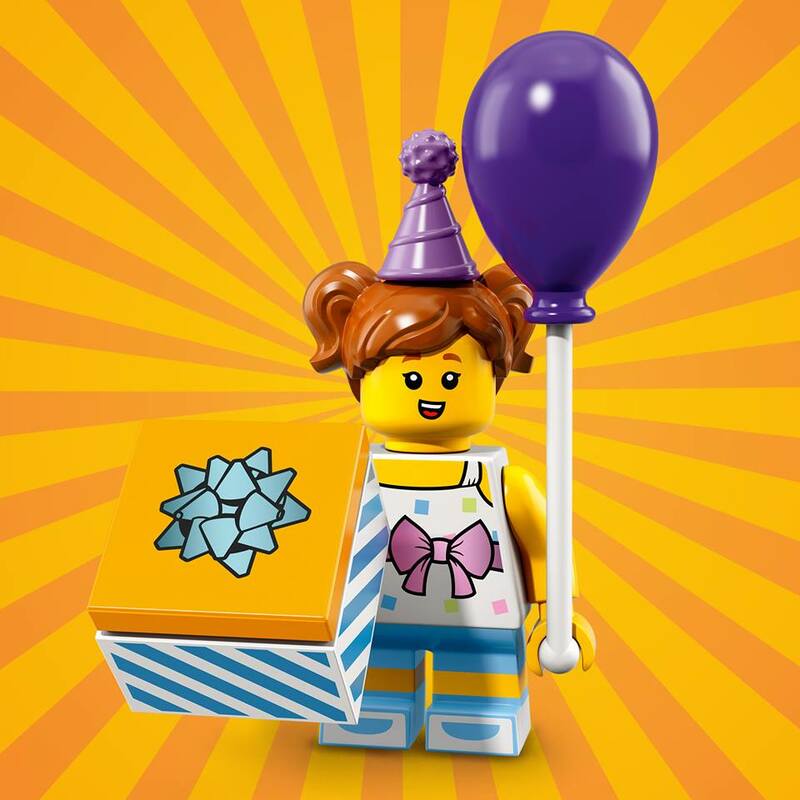 No new food prints here, but we get a different coloured balloon, another present, and a new torso and legs for the little girl! Another great one! 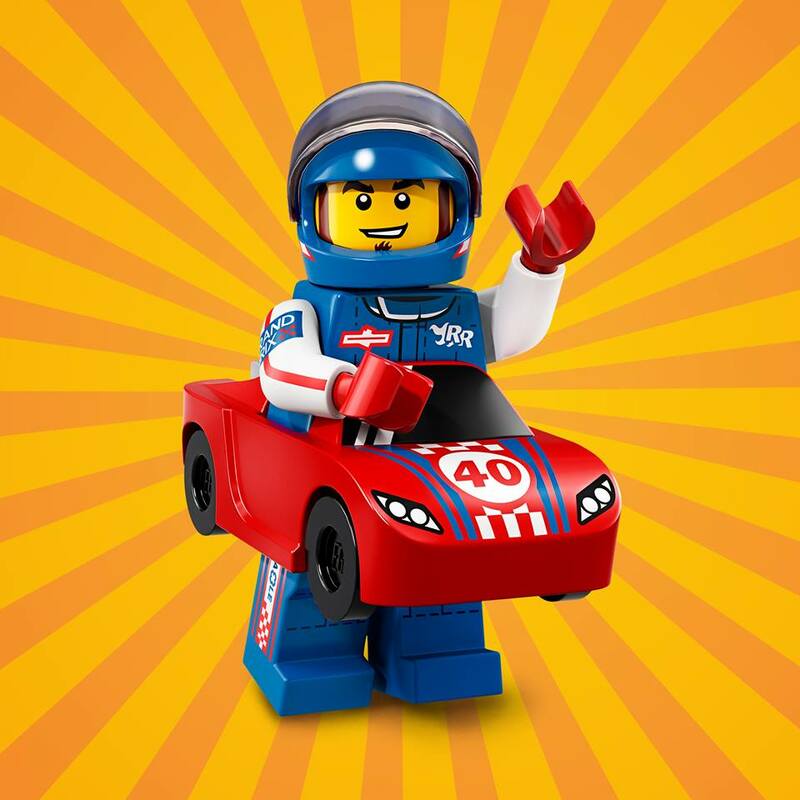 We get an awesome looking car costume, and a fantastic race suit as well. Excellent. This one looks like a bit more of a return to the classic style costume. It’s a ripper though, with some excellent printing, wings and a tail! 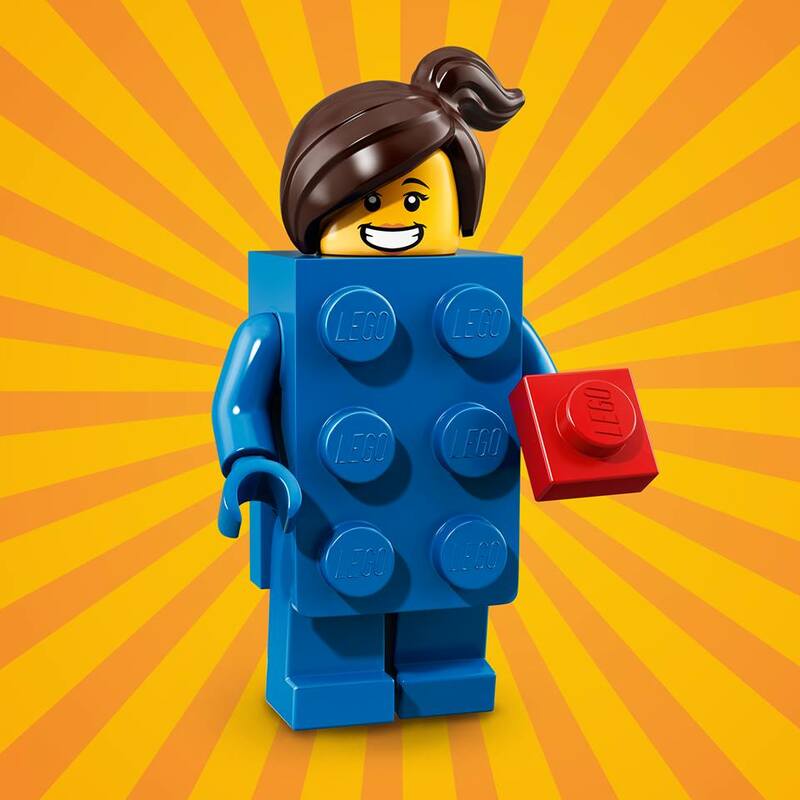 Another brick suit character! Awesome. This one looks creepy, but brilliant! The face is also fantastic, and would be perfect for a horror style build. There’s so many options for amazing builds with these! I’m really looking forward to getting my hands on them. Which one is your favourite? Let me know in the poll below!